Without any context this picture means roughly nil. With a tiny bit of background, however, it easily represents my greatest moment during the week we spent in Myanmar (or Burma, if that’s your thing). 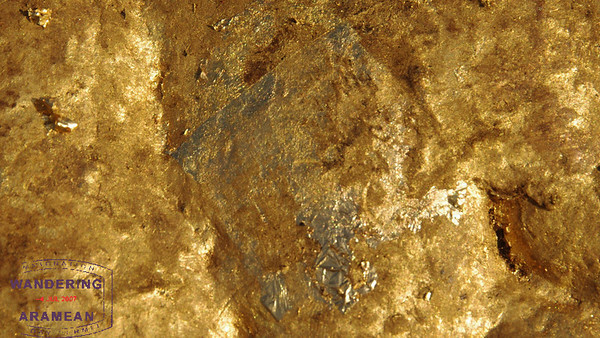 It is a small piece of gold leaf, roughly an inch or so square, and it is the piece I applied to the giant golden rock at Mt. 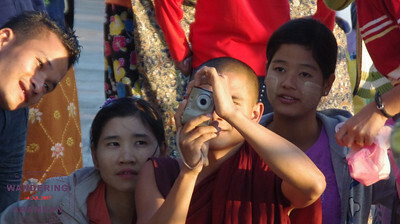 Kyaiktiyo, a Buddhist pilgrimage site southeast of Yangon. That I got to apply the square was cool in its own right. How that moment came to pass makes the experience probably one of my top 10 travel moments ever. Even as a tourist and not a pilgrim, a visit to Mount Kyaiktiyo is quite an experience. 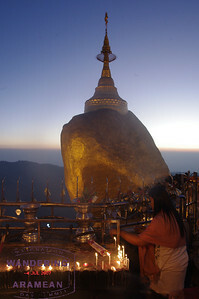 Also known as the “Golden Rock,” the site is a major destination for Buddhist pilgrims and they come en masse, along with a fair number of tourists. The main place of worship is the massive boulder, precariously perched and, as legend has it, balanced by a hair of Buddha enshrined in the stupa atop the rock. The site is much larger than that, however, with many smaller temples surrounding the main one. 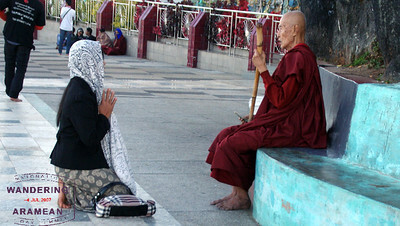 Additionally, because only men are permitted to pray directly at the rock (there is a small, attended bridge to that part of the site) there are a number of areas where the women have made themselves quite at home, chanting, praying and offering their respects to Buddha. 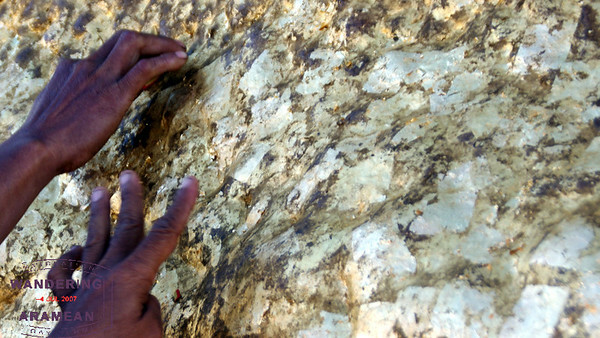 The rock maintains its golden color because pilgrims are constantly applying gold leaf to the surface as part of their visit. They show up with small packets of the leaf, rubber-banded together in 10 or so pieces to the pack. I very much wanted to participate in this tradition but had no idea where I’d get the gold leaf. I figured there would be a gift shop of some sort at the top of the mountain for unprepared pilgrims. Oh, how wrong I was. A bit disappointing, certainly, but nothing I couldn’t get over. As I was standing on the small platform, taking some photos of the pilgrims a young boy started to make conversation with me. He was probably around 10 years old and his English, while much better than my Burmese, did not have a particularly broad vocabulary. Still, we managed to talk a bit and I expressed my interest in the process of applying the gold leaf and tried to ask him where to buy it. He responded by showing me how to apply it. Not really what I was going for, but I was impressed by his willingness and ability to communicate with me about it. And then something truly amazing happened. Either he understood that I wanted to apply a piece myself or he was just feeling that generous. I’ll never know the real reason why, but he gave me one of the papers out of his stack and encouraged me to apply it to the rock. I was in awe. It is hard to express how wonderful that moment was. We spent a few hours out at the site that afternoon, taking in the crowds and watching as the sun went down over the site. The day we were there didn’t have a particularly dramatic sunset nor sunrise, but the effect is still rather impressive. 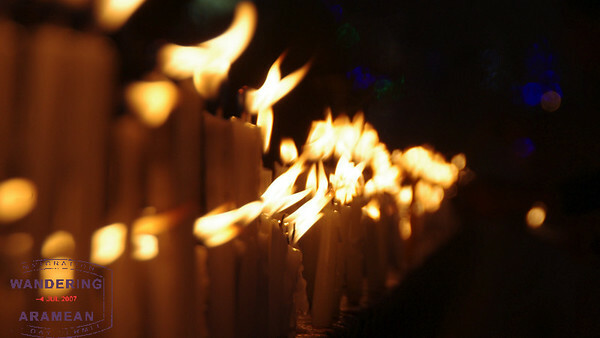 The rock is lit up spectacularly and the glow from the candles and incense is spectacular. And, because it is a pilgrim site, there is no shortage of monks in the area. Some walk the line between pilgrim and tourist. Others are there praying with (and for) the visitors. All of them are quite photogenic. While Mt. 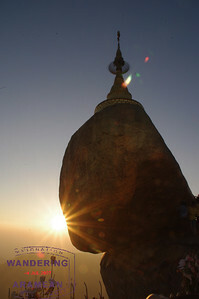 Kyaiktiyo can be visited as a long day trip from Yangon (the drive is about 3-4 hours each way) staying overnight in the area allows visitors to take in the sights around sunrise and sunset. 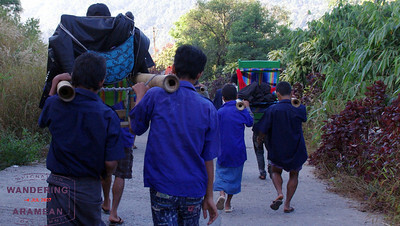 Getting from the parking lot at the bottom of the hill up to the site requires cramming in to tiny benches in the back of a pickup truck and cruising up a steep, switch-backed road to a rest stop. At that point it is another 30-45 minutes of walking uphill. That is unless you opt for the more relaxing option of being carried to the top in style. The spectacle of Mt. Kyaiktiyo is a sight to see. It is hard to describe the energy and excitement atop the mountain. And, for me, the experience I had is one I’ll never be able to replicate. Simply an incredible moment in my life. LOTS more photos from Mt. Kyaiktiyo here. 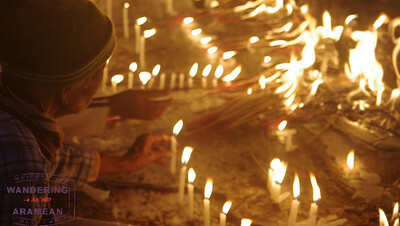 More stories from Myanmar/Burma here. I loved Burma (as I was told its ok to call the country by that name by the locals). I think it is my top travel experience. I loved the Circular train and being the only lone western woman on it. Beautifully told. I love reading of your experiences and can’t wait to add Burma to mine. I’m mad at myself I didn’t catch that last mistake fare. I loved your report! It makes me want to go there.